Just a Reminder for Bulls Fans! Hey everyone! Jessica here with a quick Tampa Bay sports reminder... Don&apos;t miss the University of South Florida Bulls in action tomorrow night!!! 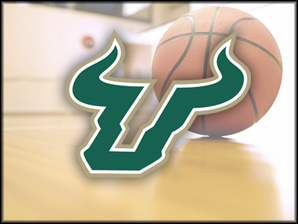 That&apos;s right, the leading ladies of USF&apos;s Women&apos;s Basketball team will be taking on the Villanova Wildcats at the USF Sun Dome at exactly 7:00 p.m. The Bulls, who are coming off of a 64-47 win over Cincinnati, are looking for their fourth BIG EAST win of the season! Tickets are still available at GoUSFBulls.com under "women&apos;s hoops" but, if you can&apos;t make it out to the game, you&apos;re still in luck... you can catch all the action by logging onto BullsVision Premium for live audio streaming (accessed through GoUSFBulls.com). Don&apos;t forget your green and gold and of course your cheering voices as we support local collegiate athletics! (And although I was once a Philadelphia girl) I must admit I&apos;m looking forward to a USF victory tomorrow, so "Go BULLS!" Check back soon for more exciting Tampa Bay area events and Tampa tourism! !